When you step onto St.Peter’s Square in Vatican City it feels like you’re being catapulted back into history. In March of 2013 I got to photograph an occasion so rare that the last time it happened was 600 years ago. Up until 2013 the last sitting pope that resigned was Gregory XII, who stepped down in 1415. On February 11, 2013 Pope Benedict XVI resigned suddenly triggering a new papal election. 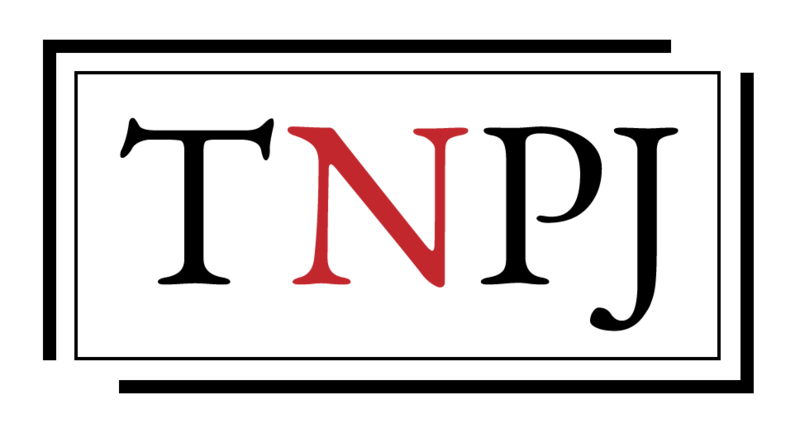 I was one of 5,600 journalists covering the event in Vatican City during the days leading up to the conclave – the moment when all of the Roman Catholic Cardinals are sequestered in the Sistine Chapel while they pick a new pope. My days were spent photographing priests, nuns and fashionably dressed Italians praying in St. Peter’s Square. Nights were spent going to church masses. Being Canadian, I went to photograph mass led by Canadian Cardinal Marc Ouellet, a front runner to become the next pope, at Santa Maria in Traspontina, a church built in 1587. Thousands of tourists would come down to the square to see the day’s activities and perhaps get a glimpse of a Cardinal walking through the square. Cardinals were like rock stars. They had bodyguards with them to help fend off the waves of people who would rush up to them for a chance to shake their hand or kiss their ring. On the first day of conclave, thousands of devotees filled St. Peter’s Square. You might expect the atmosphere to be loud and jubilant but the mood was quiet, somber and respectful. The first cardinal vote took place under dark and stormy skies. 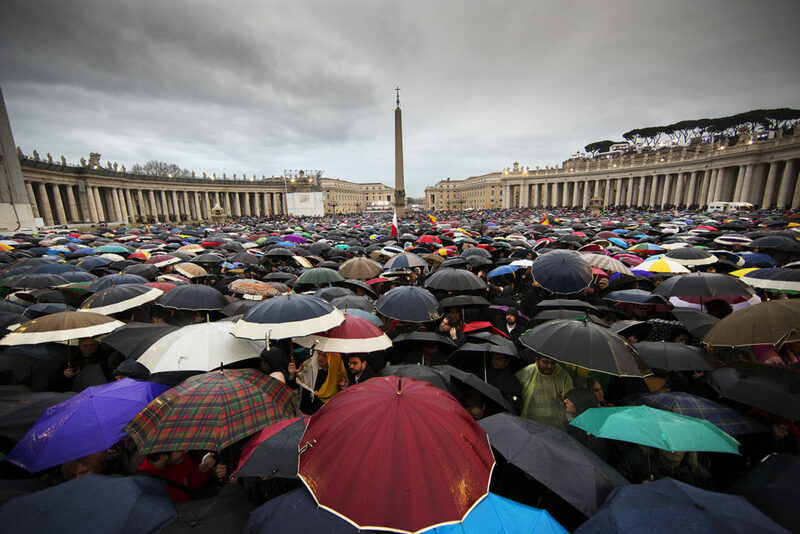 Tucked away under their umbrellas, people from all over the world shielded themselves from the drizzling rain as black smoke billowed out of the chimney signalling that the pope had yet to be selected. People flocked to the square early the following the morning. There were three votes during the day, each time leading to more black smoke. Toward the end of day tens of thousands of people had filled the square, and being there felt like being lost in the middle of an ocean. I stopped to talked to a Latin American couple who had waited all day in the rain in the very front row and happened to be from Calgary, my home city. They desperately wanted to witness a new pope coming to the balcony to greet his people. As we chatted gasps ran through the crowd. At 7:06 pm on March 13, 2013 the gasps rose to cheers as white smoke billowed from the Sistine Chapel’s chimney signalling that Jorge Mario Bergoglio, Archbishop of Buenos Aires, had been selected. That night he stepped onto the balcony of St. Peter’s Basilica becoming Pope Francis, the 266th Pope of the Roman Catholic Church. Over the next few days journalists were treated to an audience with the pope. The faithful gathered in the square to pray and celebrate their new religious leader and thousands of people packed St. Peter’s for his first Sunday mass. This is my collection of photographs from a once in a lifetime event. For two weeks I worked on photographing this remarkable story. Capturing people’s faith, documenting the lives of Catholics as they picked their new leader, a moment when I went to the world’s smallest country and stepped into history.